Hi there! 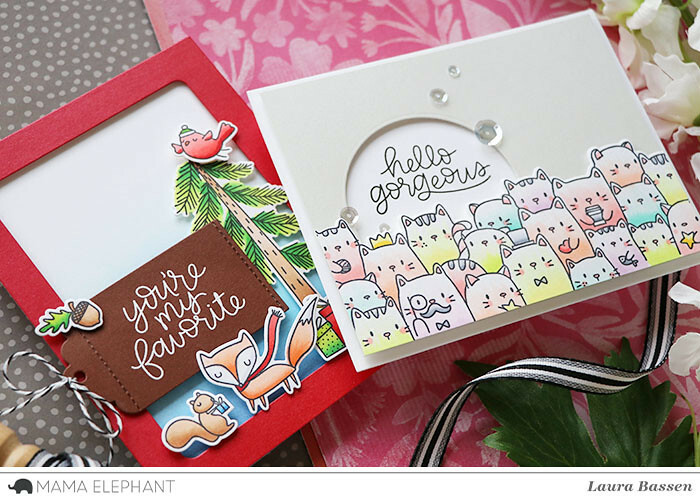 Laura here and today I have a couple of projects to share featuring the Scripty Notes stamp set. For my first card I combined the Scripty Notes set with The Cat's Meow. 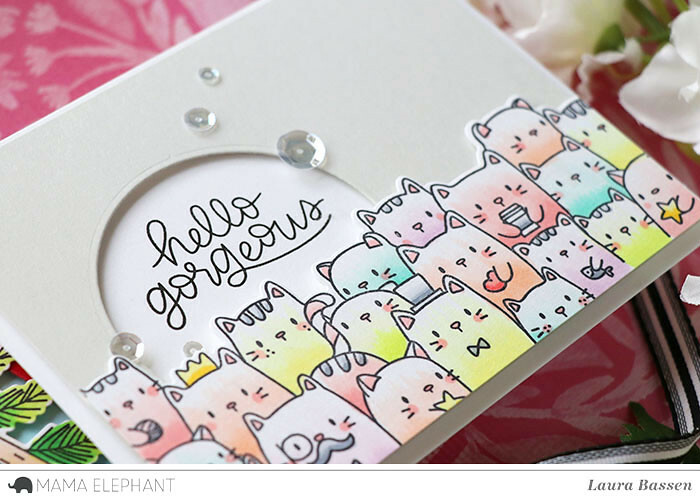 I stamped the cats with Memento ink and colored them with Copics. Then I die cut a circle window to frame the sentiment from the Scripty Notes set. 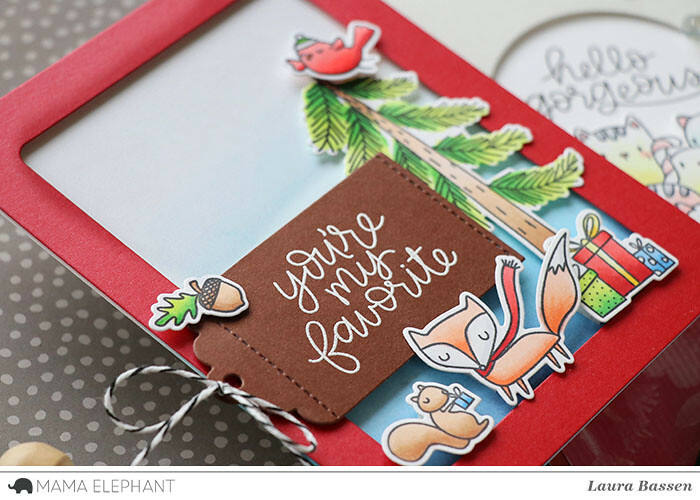 For my next card I used some sweet images from the Whimsical Winter stamp set. 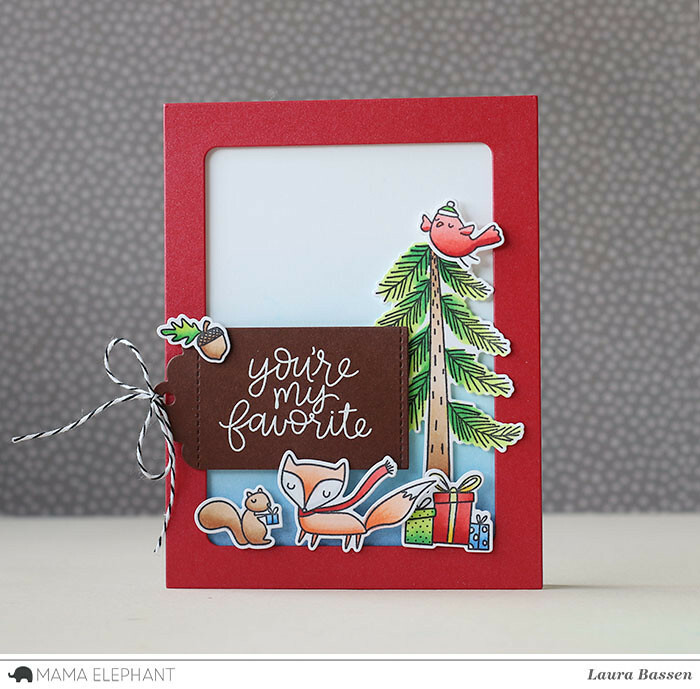 I also used the Framed Tags-Hug it Out creative cuts for the red frame & brown tag. I added a bit of soft blue ink blending on the background and colored the images with Copics. That's all for today! Thanks so much for stopping by! 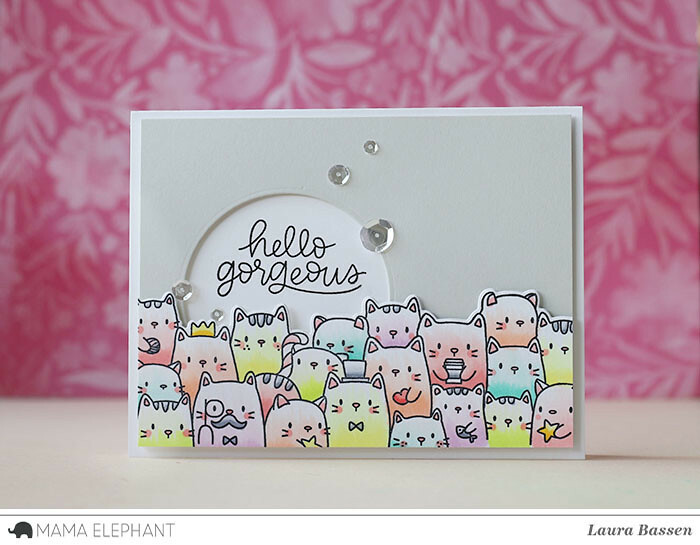 Wonderful cards, Laura. I love the Scripty sayings. You make the cutest, sweetest cards. Thanks for sharing.